1, Optimize the GUI so as to give full support to both Chinese and English. 3, In order to avoid the loss of use’s fund, we need to increase the number of tests. 4, In conjunction with the DAPP side access and completion. The Bitfinex announcement shows that SEER has officially been listed on Bitfinex in the evening of July 5th, opening SEE/BTC, SEE/USD and SEE/ETH trading pairs. Open recharge at 0:30 on July 6th and open trading at 2:00. SEER is a high performance public chain based on the main service stylistic industry of graphene bottom, with an average of 1.5 seconds confirmation and 3300 transactions per second. The mainnet is now online and open to the developer interface. 2. SEER put 5000000 SEER super welfare on BiHu platform. On July 3rd -7 10, SEER was awarded the 5000000 SEER lottery on BiHu platform, and users could participate in the lottery on BiHu platform-- "candy" (you need to upgrade APP to the latest version, APP official download: https://m.bihu.com/download). One more day, Let's hurry up and draw the prize. 3. Let’s talk about SEER, and participate in cash award for essay. 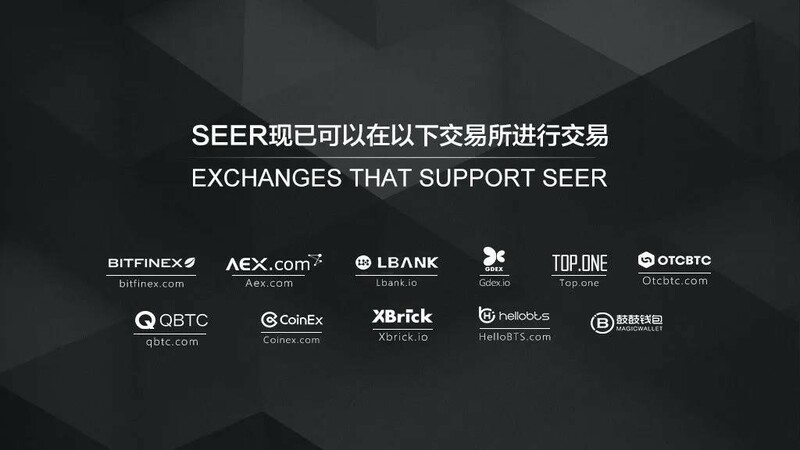 To celebrate the "SEER public chain of Hainan", we have a prize collection activities, to the majority of SEER supporters and BiHu users to benefit, invite you to talk about SEER! We hope that you will pass on SEER's technology and innovative ideas to more block chain lovers and sports enthusiasts in the form of excellent articles or videos. 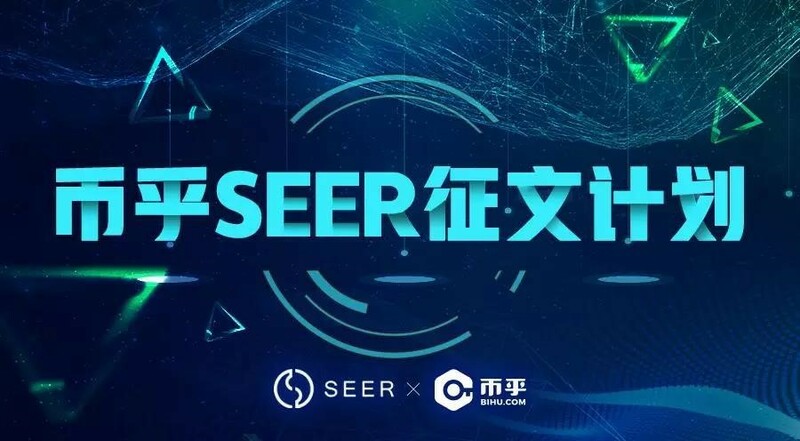 Activity rules: In the SEER section of BiHu, launch the topic #Hainan X SEER#, we will select 10 selected opinions or articles for reward based on the quality of the article, likes, comments and interactions on July 12th. Each person is rewarded with 20,000 SEER. 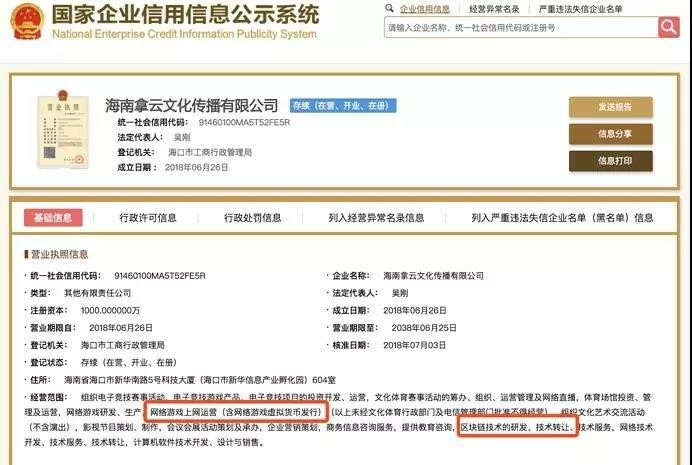 4.SEER will be empowered with state-owned enterprises for the sports industry, and a large-scale conference will be held in Haikou on the 13th. Recently, Hainan Nayun Culture Communication Co., Ltd., a joint venture between SEER investor Nayun Sports and Hainan Provincial Cultural Investment Management Co., Ltd., has officially settled in Haikou. The business scope of the online inquiry includes: cultural and sports events organization and online game operation (including Online game virtual currency issuance), research and development of blockchain technology. Hainan Wentou's business scope covers cultural film and television, sports events, electronic entertainment, lottery marketing, etc. It is a state-owned sole proprietorship of the provincial state-owned assets commission. SEER was one of the first projects to propose a blockchain for the real economy. SEER investors NaYun sports and Hainan Wentou after signed an agreement, a joint venture -- Hainan cloud culture communication co., LTD., the two sides is scheduled for July 13, 2018 in large conference held in Haikou, there will be Hainan style hall and the broadcast television related to leadership, Hainan for leadership, and cloud sports business partners, such as guest star guests will attend the conference, etc to be present to witness. The price cycle is the path prices take from low to high and back to low again. I use investor sentiment to define the price cycle.